In today’s post, I explore another one of the exercises in Dr. April Benson’s wonderful book, “To Buy or Not to Buy: Why We Overshop and How to Stop.” I previously shared my insights from Dr. Benson’s exercise, “Why Do You Overshop?” Today I delve into the various triggers that can propel us to shop and discuss some of the main triggers that have been problematic for me over the years. What are “Triggers” and What Types of Triggers are There? What triggers you to shop? A sale sign is a trigger for many! Below, I provide some examples of each type of trigger and highlight some of my personal experiences in dealing with my most potent shopping triggers. For the sake of space, I will not address every trigger mentioned by Dr. Benson in her book, but I will touch on what I view as some of the more prominent triggers. If this post really hits home for you, I highly recommend that you get a copy of “To Buy or Not to Buy” and work through the exercises. 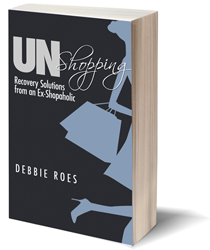 A few “Recovering Shopaholic” readers have worked through the entire book and have told me it’s helped tremendously with their recovery process. I will continue to write about the concepts and exercises from Dr. Benson’s book on this blog, as I feel it’s one of the best tools out there to help shopaholics manage our compulsive buying issues. Seeing a sale sign in a store window or receiving an email announcement about a sale. Buying a new outfit for an upcoming party, event, or vacation. Feeling compelled to buy a new garment (or shoes or accessory) from a magazine or catalog or after you saw someone saw wearing it. Shopping for birthdays and holidays. Being at home, having a day off, or simply being on your computer! For years, I have subscribed to a number of style blogs and fashion magazines. While I enjoy reading about fashion and style and seeing inspiring outfit photos, I’ve had to limit my exposure to such materials as part of my recovery process. When I see a fashion blogger wearing a beautiful outfit which suits my personal style aesthetic, I often feel compelled to buy what she’s wearing (and she sometimes makes this very easy to do by means of handy affiliate links!). Even if I don’t end up buying an item I saw on a blog or in a magazine, I frequently end up feeling a sense of scarcity in terms of what I have and worrying that my wardrobe is not good enough. While I still read blogs and magazines, I’m gradually paring down my subscriptions as I work to foster my feelings of “enoughness” with what I have. I often tell myself that if I wait to buy something, I may never be able to find something that great again, and I’ve also used shopping as a reward for finishing a project or getting through a difficult challenge. These types of cognitive triggers can be hard to resist, but I think the “power pause” is a good tool to use to allow some time for reason to kick in. If you leave the store and take a “time out” before buying, you may find that the spell has been broken and you don’t really need to purchase the item in question. Going shopping following a fight or difficult interaction with a spouse, family member, friend, or co-worker. Receiving criticism (or even a compliment!) from someone. Going shopping every time you’re with a particular friend or family member. Buying new clothes in an effort to fit in or impress others. Rushing off to the mall after a favorite salesperson calls to tell you about new merchandise. I’ve written before about my challenges of shopping with a friend. While I used to shop with several different friends on a regular basis, it’s now just one friend in particular. I would love to engage in different types of activities with her, but she always wants to have lunch at the same restaurant and wander around the mall afterwards. The good news is that I no longer feel such a compulsion to buy a lot of new things when I’m with her. The last time we shopped together, I bought two things, but I felt good about what I bought and it was within my budget. I have definitely shopped to try to fit in or impress others. This was particularly problematic for me when I had my wardrobe styling business. I felt increasing pressure (mostly from within myself) to dress in a stylish and trendy fashion, and my anxiety that I wasn’t measuring up sent me rushing out to the shops. While I can’t say I’ve put all worries about others’ opinions behind me, this particular trigger is less troubling since I closed up my styling business. I feel freer to dress for myself now instead of for others and I’m continuing to refine my personal style as I work to shop less and appreciate what I have more. Emotional triggers can be the most difficult ones to deal with! We often shop for emotional reasons and sometimes have no idea what’s triggering our behavior. Since these types of triggers are especially problematic for overshoppers, I’m providing extra examples below. You’re feeling annoyed or angry with someone in your life, so you shop to forget about it. You’re feeling a sense of sadness you can’t seem to shake, so you seek out bargains to uplift your mood. When you’re feeling lonely and disconnected, you shop to be around other people and feel a sense of connection to salespeople and fellow shoppers. In the midst of a particularly stressful time in your life, you shop to decompress. Shopping as a means of trying to recapture a happy mood or experience. You’re comparing yourself to other people and coming up short, so you shop to try to silence your feelings of inadequacy. Shopping to try to drown out a sense of self-blame and judgment. I could go on and on with the emotional trigger examples, but the ones above are a good representation of how emotions can lead us to overshop. I’ve written about some of my emotional reasons for shopping in the past (see “Shopping for Acceptance” and “Why Do You Overshop?” ), but I’ll elaborate a bit more here. I often shop when I’m feeling stressed, lonely, anxious, sad, or inadequate. For me, shopping has been a way to deal with pretty much all of my emotions! I never met an emotion for which shopping wasn’t the answer… except shopping never really solved anything or made me feel better for more than just a few hours. You’re on a diet, so you shop in order to take your mind off food and avoid eating. You have a headache and don’t want to lie down and relax, so you distract yourself by window shopping and browsing instead. Back pain has been plaguing you, so you forget about it temporarily by taking a trip to the mall. You can’t sleep, so you turn on QVC or HSN to see what deals you might be able to score there. After having a few drinks after work with some friends, you spend too much money in a nearby shop due to your alcohol-impaired judgment. I didn’t realize how much physical triggers come into play for me until I re-read this section of Dr. Benson’s book! As I’ve written in previous posts, I’ve been dealing with a number of health issues in recent months, including the headaches and back pain that were given in the examples above, among other things. I have my good days and my bad days and sometimes after a string of bad days spent at home and in pain, I find myself compelled to rush out to the mall to take my mind off my health woes and the difficulty I’m having in managing them. When I shop to take my mind off my pain, it does help in the short term. But it doesn’t get me any closer to resolving my problems and it may add insult to injury if I overspend and exceed my shopping budget. I realize that I do need a breather from time to time, so I’m working on finding new ways to decompress. Taking a walk or going to the movies can be effective replacements and are much less expensive, and I hope to identify some other activities that I enjoy and are not clothing or shopping-related. Knowing what your common shopping triggers are is an important first step toward managing them. Once you’re aware of the factors that are encouraging you to shop, you can either avoid these triggers or find alternate ways of dealing with them. Of course, this is often easier said than done! Some triggers will be more difficult to avoid than others and emotional triggers can be the most troubling to confront. I’ll be dealing with that topic in future posts and I’ll also look at the subject of “shopping aftershocks,” what happens after we shop. The best way to use these questions is to carry them with you on a small card or post-it note in your purse or wallet and to take a short time-out (or “power pause”) before you buy anything. Take a few moments to ask yourself the questions and really ponder your answers. You may find that what seemed like a “must buy” is better left in the store. So you’ve just read about the various types of triggers as well as some of my personal examples. Now I’d love to hear from you! What are some of the things that trigger you to shop? If you only shop when you have a defined wardrobe need and only buy what you truly love, good for you (and I hope to be able to say the same soon)! But if there are other things that propel you to shop, where are they? Perhaps we can help each other to better manage our situational, cognitive, interpersonal, emotional, and physical triggers! ← How Many Clothes are Enough? That’s a very comprehensive summary, thank you! I have written a post on my blog about my shopping weaknesses (after buying one denim shirt although I was in a shopping fast and analyzing why) and it definitely falls into some of the categories above! Your teleseminar sounds great, too bad it ends up being in the middle of the night here in Europe. I hope you’ll post a summary on your blog afterwards. I read your post on shopping weaknesses, Kali, and loved it. I’m going to share it in my links post today! Sorry about the teleseminar time. It’s really hard to accommodate everyone, but I very likely will post a summary shortly after the call. Love your blog! Nothing “triggers” me to shop. I carefully plan and budget for all of my clothing purchases. I seldom “need” clothes and only head to a store (or on-line) when I need to replace or purchase a specific item of clothing — a black v-neck sweater that got badly snagged, etc. Thirty years ago I might have “shopped” sales, etc., but not longer. Maybe wisdom does come with age? Or a tighter budget, perhaps? I’m a situational and emotional shopper. Probably more situational though. I get really excited when I get emails for a sale from my favorite stores. I’m much better at resisting them now than in the past, but some are still really hard to resist, like the 50% off everything LOFT email that was in my inbox this morning. Or all the Fall Family and Friends Sale emails that have been going around. I use those to shop smarter for things I really want or need, instead of just stocking up on stuff “cuz it’s on sale, duuuuuuh.” At least Gmail puts these under a different tab, and they are flooding my general inbox anymore. I go through in the morning, lunch, and at night to see if anything is relevant to my needs, and delete it if not. And sometimes I just shop when I’m having a really crappy day. Granted, it’s now more window shopping online than anything else. I’ve gotten pretty good at putting stuff in my cart and then Xing out the window. Those sale emails can definitely be triggering, Melissa! It’s great that you’re using them more to your advantage these days. I’ve unsubscribed from most of them because I don’t really need much of anything and don’t need the extra temptation. Congrats on being able to “window shop” online without buying anything. That’s some great progress! While I’d like to think that I can shop with a formidable list and a level head, I still slip up sometimes. Interpersonal and situational triggers are what usually get me. Visiting or traveling with my family means lots of time at the mall and various secondhand stores. I’ve learned to circumvent this situation by removing all means of spending from my wallet except for a set amount of cash within my budget and a copy of the list of what I’m looking for where my credit card would be as a reminder. I have also gained a reputation of being “stylish” among my social circle and office mates and I can feel pressure to keep it up with new stuff. I try to alleviate this by making a list twice of year of new things that I want that season. I make myself wait and think about how each piece would fit in my wardrobe, what needs replacing, how much it would cost, if I can find exactly what I want, etc. Then I narrow down the list to less than five items, look at the secondhand shops first, and feel no guilt buying them. But I can never, ever refuse a good sale or clearance rack find. That happened just this past weekend. I was traveling and found out that the area contained a B&M of my favorite catalog. I went in “just to try on” a few things I had seen online and ended up drawn to the “70% off already reduced prices!! !” sign. Lickety split, I walk out with a lovely cashmere cardigan that I didn’t need but was $40 marked down from $185. It will be okay because my husband approved and it’s actually a color that will go with so much of my closet (and I’ve worn it three times already this week plus around the house every night), but there was no thought process there at all! Thanks for sharing your excellent tips with us, Mrs. M. Shopping with a list and only using cash definitely help us to avoid impulse buys. The sales/clearance racks can be triggering for many of us. I still tend to look at them even if I have my list in hand, but I’m resisting the temptation to buy more often these days. Even though your cardigan was technically an impulse buy, it sounds like it’s already “earning its keep” in your wardrobe. It sounds like you know what you like and wear and are making fewer mistakes. Good for you! Thank goodness for this post. I just saw a tweet about a sale on an item that I’ve had my eye on for more than 2 months. I like the color scheme and the style. But: a) It’s not in my budget for this month, b) it’s not practical, c) I don’t need it. I actually started feeling anxious, thinking I needed to buy this item while it was on sale. I was falling victim to the situational trigger of “it’s on sale” and the cognitive trigger of “if I don’t buy this now, I won’t be able to get it.” Both of these are common reasons why I buy things, and the second one isn’t even true! Thanks for helping me do a power pause! I’m so glad this post helped you to avoid some of your triggers, Rachel! The “power pause” really is powerful. It’s helped me to avoid a lot of buying mistakes and I thank Jill Chivers for first sharing it with me! I used to shop because of….any reason. Now the two that can get me are an upcoming event or vacation and if I’m not making it a point to do things that are fulfilling to me such as painting or getting together with friends. I tend to go on vacation to places like NYC or Las Vegas that are very different from where I live. I enjoy being able to wear different clothes than the casual ones that I wear in my everyday life. I suppose it’s not a big deal to get a couple of new things. I just need to take care not to overdo it. The thing I try to be very vigilant about is taking care of the areas of my life in the right way. Social, creative, spiritual, physical, etc. If I let something slip I think it’s still easy to “fix” it with shopping. I need to pay attention to how I address the needs in my life. For example, if I’ve been working a lot or doing tedious chores I tend to want to have something to look forward to. Instead of ordering something online it’s much better if I make plans to have lunch with a friend or watch a movie. You raised some really great points, Tonya. Self-care is a very important part of managing overshopping. A lot of times we feel more tempted to shop when our lives are out of balance, so your tips for taking care of all of the areas of your life are very useful. Shopping really can’t fix anything except a true wardrobe gap or need, but until we find other ways of dealing with our emotions, shopping will often be our default activity. Let’s see – Today I was home sick so I shopped online because I was in pain, because I was lonely and bored, and because there were so many sales in my inbox! Luckily, I didn’t do much buying! I shop on eBay often and I keep a watch list. Since most auctions are for 7 days, I have a built in “waiting period.” I delete lots more items than I buy. Because I have been shopping on eBay for so long, I know I will see an item I “miss” again. I also put things in my shopping cart. Many sites save those cart items forever. When I got on Amazon today, I had things from months ago that I had completely forgotten about. I feel that I am making some baby steps in identifying my triggers and managing them when shopping online. But I still have challenges in brick & mortar stores. I am still buying things I don’t need but I get caught up in the emotional high and lose my perspective. I have gotten a few new books and I have been reading outside which is something I enjoy. I have also been getting back on my yoga mat which helps everything. I look forward to your teleseminar! I’m glad you will be on the teleseminar, Anne! I hope you’re feeling better today. Good for you for finding some alternate activities to enjoy besides shopping. I’m doing the same, but need to find more substitutions. The emotional high we can get through shopping leads many of us to buy what we don’t need. The fact that you’re aware of that now is an important first step toward changing. Situational mostly. Though in past years I have gone shopping (not always buying, but touring through stores) for a number of the triggers mentioned. But I also shopped because it never occurred to me not to. My husband, family members and friends shopped, so I thought it was a normal perfectly ok hobby. Fortunately I would only buy one or two things at a time and I stayed within my budget, but after a few years of doing this it added up to way too many clothes, shoes and purses. Although I have cut way back, I still shop about once every month. Usually I only purchase one or two items on my list. Last month it was under garments, this month it was house slippers. But last summer it was a pair of shoes and a dress, and jeans and three tops that I thought I needed at the time, and now realize that I don’t. What happened was that I was in SF visiting a family member and I fell victim to the situation of shopping in the City. Those extra unneeded items set me back. Back to having more clothes and shoes than I really want or have occasions to wear. The good news is that I now recognize the dangers of situational shopping, and I’ve recovered from my fear of worrying about things wearing out – because it’s all good quality clothes and it will likely out last me! It gave me the kick start I needed to go back and pull out anything I do not love. In order to have fun wearing my clothes, I need to like them enough to be able to wear them over and over again, if I had to. I saw that article a few weeks ago, Terra, and really liked it! 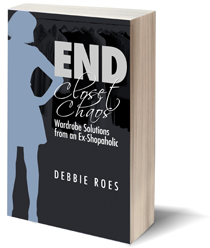 I agree that managing a wardrobe is like an exercise routine. It’s more of a journey than a destination and consistency is key. But our hard work DOES pay off! Yet, I am, because I have spent a huge portion of my time thinking about shopping, planning what I “need,” constantly going shopping whether to buy or cruising just to look and finally being a serial returner. I am at a stage of life where I am now working on myself to learn how this all began. It’s extremely distressing for me to acknowledge the deeper reasons for why I have spent so much of my life neutralized in the shopping zone. My triggers are all emotional and it is no coincidence that as my marriage finally ended I was able to discover and now to come to understanding my past dependance on shopping. Shopping was a way of thinking about other things instead of the fact that I was not in a good relationship and that my marriage was a lonely place. I filled up my lonely spaces with shopping – thinking, planning and trips. And then going back to return. All of it a facade to cover up very deep cracks in my life. Never feeling enough and never feeling quite right, I focussed on my clothing and make-up, my cushion covers and whether the white wall paint was the “right” white. As a recovering shopaholic and in the midst of a very big purge, I am learning a lot about my shopping behaviour in the past and the anxiety I have wrestled with. Shopping as a problem solving tool and emotional support quietly seeped it’s way into my life. It’s not easy for me and it is very upsetting but I am so glad to get to this place and bit by bit, get rid of the old (things, relationships and patterns) and find myself again. I think there’s a big misconception that all shopaholics are up to their eyeballs in debt. I am not currently in debt, either, although I have had problems with debt in the past. April Benson told me that 1/3 of her patients are not in financial debt, but they ARE experiencing a “poverty of the soul.” I can identify with that, as shopping became my main hobby and preoccupation. Like you, I was trying to avoid a lot of uncomfortable feelings. It was just easier to focus on shopping than on the pain I was experiencing in my life. Plus, shopping was something I could be good at when I felt I was failing in so many other areas. Of course, shopping doesn’t REALLY fix or solve anything, which is why we are where we are today. The good news, though, is that now we realize this and are working to recover. It sounds like you’re on the right track. Just keep on going and taking things one day at a time. It WILL get better – it has for me, gradually but surely. In the summer I am the same way. Tank tops! Maxi skirts! Sandals! You’d think I lived in the tropics, not Seattle, where summer doesn’t really start until after 4th of July. This trigger isn’t mentioned in “To Buy or Not to Buy,” but it’s actually a big one for me, too, Renee. I LOVE summer and summer clothing! Although our summers in San Diego are a bit longer than yours in Seattle, they aren’t nearly long enough! They start late (usually mid-July) and last until mid-October to early-November. But if you look at my wardrobe, you’d think we have summer weather 2/3 to 3/4 of the year here. It took until this year for me to finally realize that I need to buy for the ACTUAL seasons and weather instead of what I wish them to be. So that means I have more than enough summer clothes and when I do buy, it needs to be for the cooler weather (mostly 60s and some 50s) that is dominant in the coastal area where I live. I am guilty of many of these triggers. The biggest one’s are shopping as a reward for working, either as a ‘treat’ for doing good at work or as a ‘treat’ to overcome a poor day at work. Also, shopping has been a big way for me to get ‘me’ time. 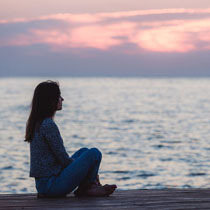 When living with a roommate, regardless of it being a friend or a partner, sometimes it is challenging to get alone time. Shopping has been a good way for me to do so. Asking oneself ‘why’ they are in the stores, is extremely helpful for me. By setting the ground rules before I enter the store “I am here for alone time,” I am more aware of my actions. I also want to comment on the power pause. This is a very helpful tool, however, I have learned that my personal power pause is very long. At first I would wait a day or two on items that caught my eye, only to return in a day or two to purchase. Now I have learned, I need to wait two or three weeks, before the pull of a new item wears off. If I still want an item I saw while browsing after that long, then it has a much higher chance of being an item that will truly work well with my wardrobe. I think I may need a longer “power pause,” too, Lisa. Sometimes I buy after a couple of days and STILL end up returning the item later – or not using it. I think two or three weeks is a much safer amount of time. Of course, sometimes the item in question will no longer be available after that long, but we have to trust that something new and better will come along.